The dynamic duo! 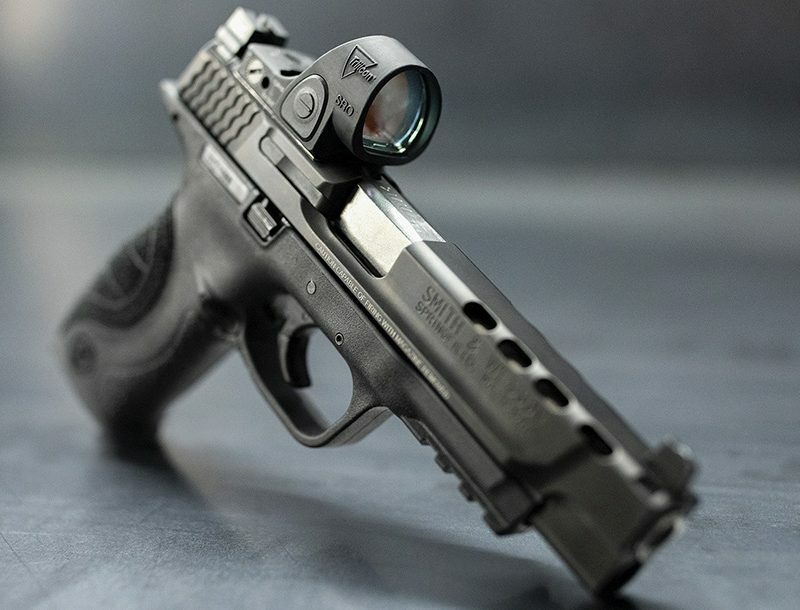 With add-on accessories like the BSA RD42 red-dot sight and tactical flashlight mounted to the pistol’s standard Picatinny rails, the guns take on the look of real-world tactical arms that are equally suited for training, small game hunting, or just punching holes in paper. When one hears the Chiappa name these days, quality reproductions of the legendary Model 1887 Winchester 12-gauge lever-action shotgun, Civil War-era Spencer rifles and carbines, and Model 92 and 1886 Winchesters come to mind. But for more than half a century, ArmiSport di Chiappa in Brescia, Italy, was better known for its historic 19th century percussion pistols and muskets. It is only in the last few years that Chiappa has added fine copies of late 19th century Winchesters, an innovative modern revolver known as the Rhino, and a new line of .22 Long Rifle AR platforms, including an AR-15/M4 upper, an M4 carbine, and an M4 tactical pistol. 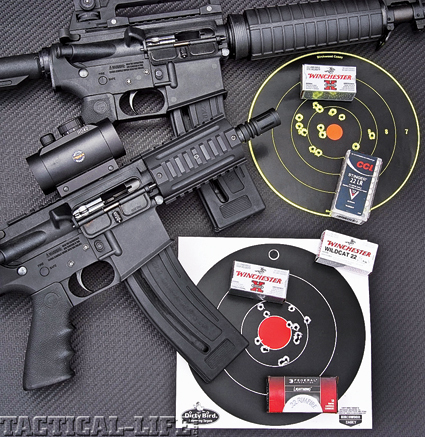 These are full-sized semi-automatics reengineered to fire the affordable, little .22 cartridge without giving up any of the design, balance and handling of a .223-caliber M4. 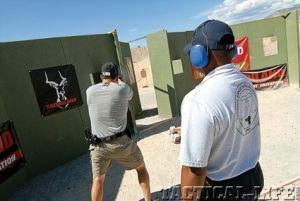 Standard capacity of the .22 caliber magazine is 28 rounds, better than half a box of .22 long rifle ammo and the guns come with two magazines. The AR platform is quite literally the most successful rifle design in history, the long arm equivalent of the Colt Model 1911 semi-automatic pistol (which Chiappa also makes in a .22-caliber version). The AR rifle platform and M1911 pistol actually have a number of things in common; both were originally designed for the U.S. military, have expired patents and original designs that were less than perfect when introduced. 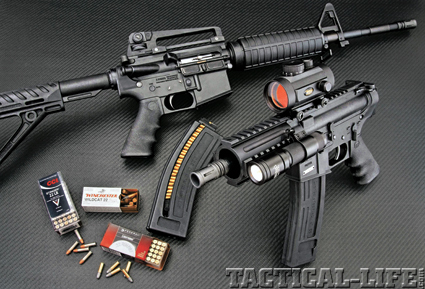 In the case of the AR-15/M16, the original models built for the U.S. military beginning in 1958 had operational quirks, problems with magazines, gas systems, even ammunition, but after more than half a century, the AR platform, like the Model 1911, has done what all good designs do over time—it has evolved. 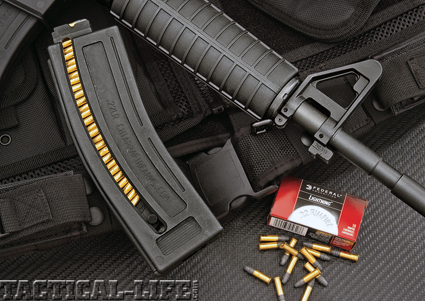 Part of that evolution has been the advent of .22-caliber conversions for the AR, the latest being Chiappa’s replaceable upper for the venerable AR-15 semi-automatic rifle and M4 “flattop” variants. 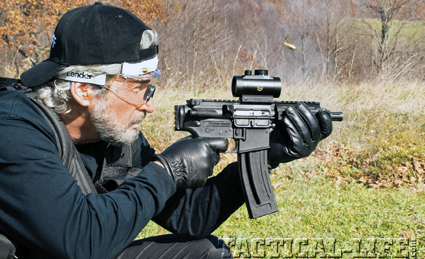 The author test fires the Chiappa M4-22 pistol from the standing and kneeling positions. 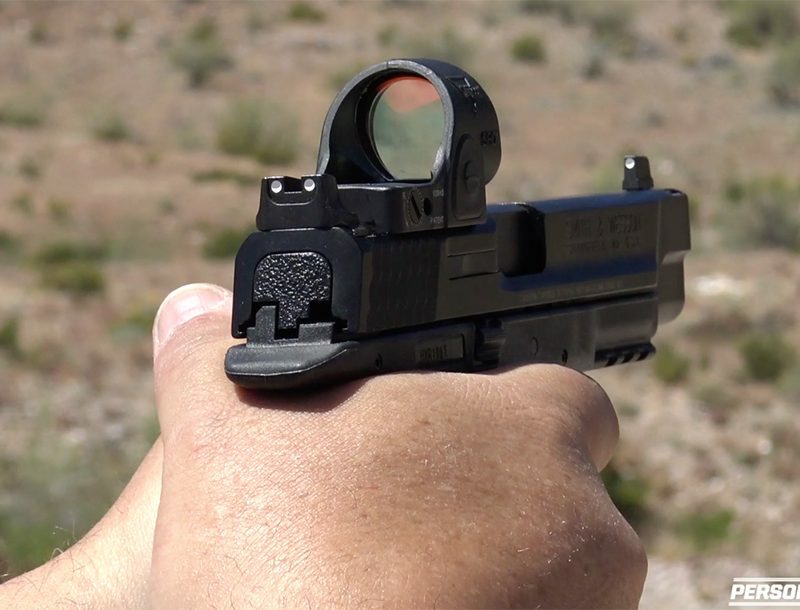 Rapid fire emptied a 28-round magazine in a matter of seconds! 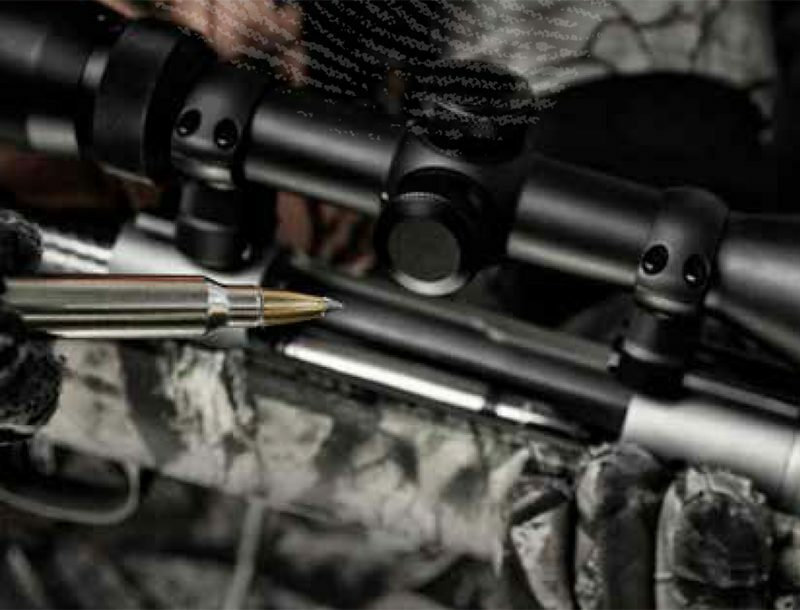 One of the strong suits of the original AR design is its interchangeability of components, which allow a weapon to be custom-tailored, not only for a particular military use, but for specific civilian uses, from long-range shooting competitions to hunting and home protection. The operative word with an AR platform is versatility, and what Chiappa brings to the table is a list of options.